Types of yoga workouts and the many benefits of yoga practice. Some people practice yoga for spiritual reasons. Some seek the physical benefits of yoga, some the mental benefits of yoga, and some a combination thereof. Whatever the purpose of yoga in your life, it can positively impact your health, fitness, and happiness. Yes, yoga is all that. Another important benefit of yoga is that you can perform it practically anywhere, anytime. Do you travel for work? Try a morning yoga workout in your hotel room and start the day refreshed, or a bedtime yoga workout to help you sleep like a baby. Best for beginners, Hatha Yoga is all about learning the basics of yoga’s physical poses. Physically vigorous, Ashtanga Yoga is ideal for anyone needing to quiet the mind. Ashtanga follows the same exact sequence of yoga poses each class, meaning you can get into the Zen zone of the routine and let your conscious mind relax. Perfectionists, this is the yoga workout for you. Iyengar Yoga is all about the details and holding your body in proper alignment in each pose. Your instructor, plus a variety of props (blocks, bolsters, blankets, etc. ), will help guide your practice. 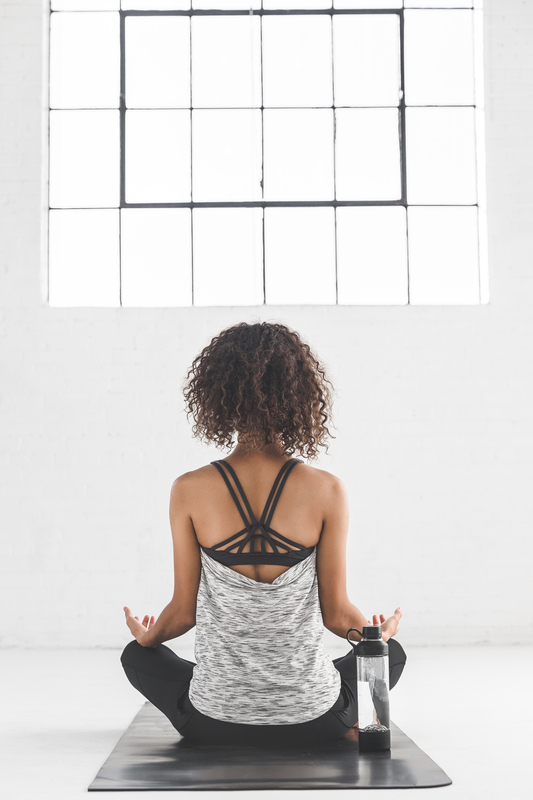 Athletes tend to favor a Vinyasa Yoga workout because it is a vigorous practice characterized by continuous movement and a focus on linking breath to motion. Unlike Ashtanga and Bikram, Vinyasa classes vary; they’re also often punctuated by music. Kundalini Yoga combines the physical and spiritual aspects of yoga. The practice includes physical movement, breath work, chanting mantras, singing, and meditation, with the aim of increasing consciousness while enhancing physical well being. Like Ashtanga, a Bikram Yoga workout also follows a precise routine (26 poses and two breathing exercises). Bikram is also a form of Hot Yoga—the room is heated to 105 degrees and 40 percent humidity. Hot Yoga is any yoga workout (in addition to Bikram) performed in hot, humid conditions. 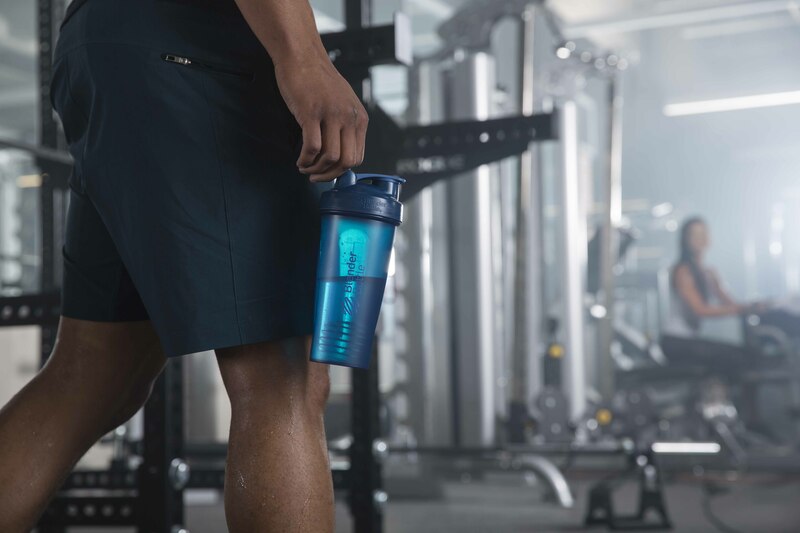 When practicing any type of Hot Yoga, be sure to remember a towel and a BlenderBottle® SportMixer® full of cold water or your favorite sport drink. You’re guaranteed to sweat! Ready to chill? Head to a Restorative Yoga class, where you’ll slow down with a series of long-hold poses that lead to a deep state of relaxation. A great way to eliminate anxiety and reduce insomnia, Restorative Yoga is also a wonderful recovery tool for athletes. Specifically designed for pregnant women, Prenatal Yoga workouts emphasize breathing, restorative poses, stamina, core strength, and pelvic floor work. Whatever the purpose of your yoga practice, there’s a style of yoga to suit your needs and your fitness level. And whatever type of practice you prefer, the benefits of a yoga workout are hard to beat.